Why does overheating happen? 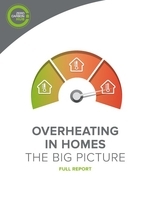 How can the construction and energy efficiency sector prevent the issue getting worse? What can local and national governments do to support the housing sector? And why does it matter?